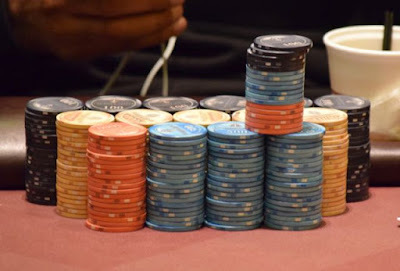 We're giving 6-Max a twist at 5pm tonight in Event 6 of the WPTDeepStacks Series, with a $160 buyin and moving to 6-max once down to 36 players, just like the WPT does for its Main Events around the world. Start with 12,000 betting units and play full tables with 20-minute levels during the 6 levels that registration is open. Move to 30-minute levels at 7:15pm when level 7 starts and registration closes. There's a redraw at 36 players, with the tourney moving to 6-max from this point until a winner is declared in this event with a $10,000 guarantee. See the Series Structures Page for more details.